Yellowstone is the world's first national park, and deservedly so. 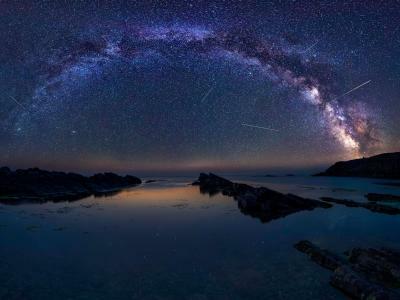 It's an ecosystem that boasts incredible diversity of wildlife and an equally incredible landscape that ranges from ancient forests to mud pots, geysers to sweeping valleys, and mountain peaks to hot springs. 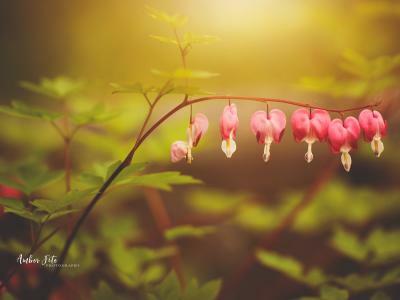 The park is a mysterious place, too, and that makes it an ideal subject for your camera's lens. Here's a few surprising facts about Yellowstone that will help you plan your next adventure in this amazing place. Though Old Faithful is certainly the most famous geyser in Yellowstone (and perhaps the entire world), it isn't the biggest in the park. That distinction goes to Steamboat Geyser, which can shoot water up to 300 feet in the air - 200 feet higher than a typical Old Faithful eruption. But the reason why Old Faithful gets so much love is because its eruptions are highly predictable, occurring every 30-120 minutes or so. Steamboat, on the other hand, is wildly erratic, rarely erupting multiple times in an entire year. Of course, it erupted three times in a little more than a month earlier this year, so that only adds to the mystery and intrigue of when the big geyser will blow its top. While Steamboat puts on a much more impressive show for photographers, you're better off going with the reliable Old Faithful for your geyser photos. Grand Prismatic Spring should be on your must-photograph list when you head to Yellowstone. 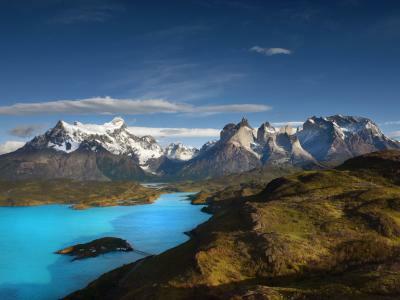 It's a breathtaking sight to see with vibrant colors that look otherworldly. 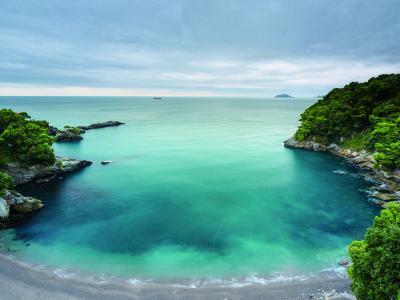 Those colors are thanks to bacteria that live in the hot pools of water. 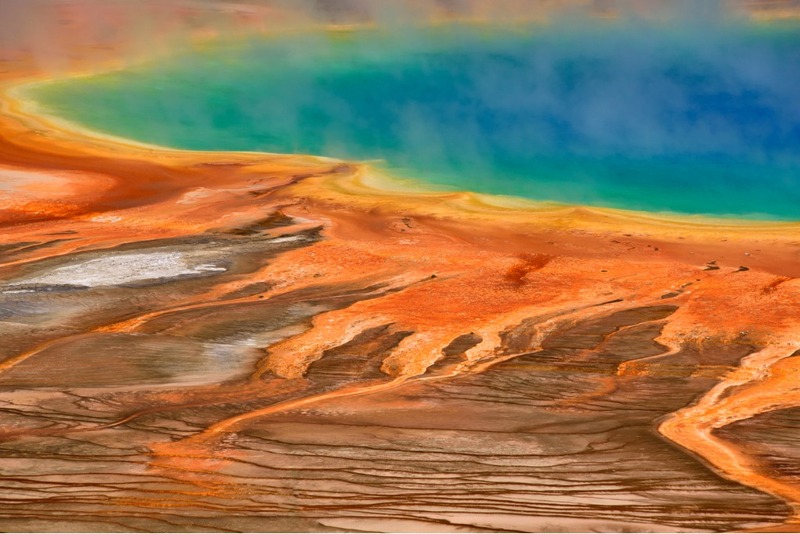 The sunlight reflects off the different bacteria, lighting up the hot springs in an array of incredible colors. The different colors in the pools represent different kinds of bacteria that only live in very specific temperature ranges. Summertime provides the best time for capturing the most intense colors at Grand Prismatic, though it's an impressive sight in winter, too (more on that later). For the best vantage point, ditch the crowded boardwalks that run around the spring and head for the Fairy Falls Trail, which provides an overlook down onto the basin where the hot spring is located. 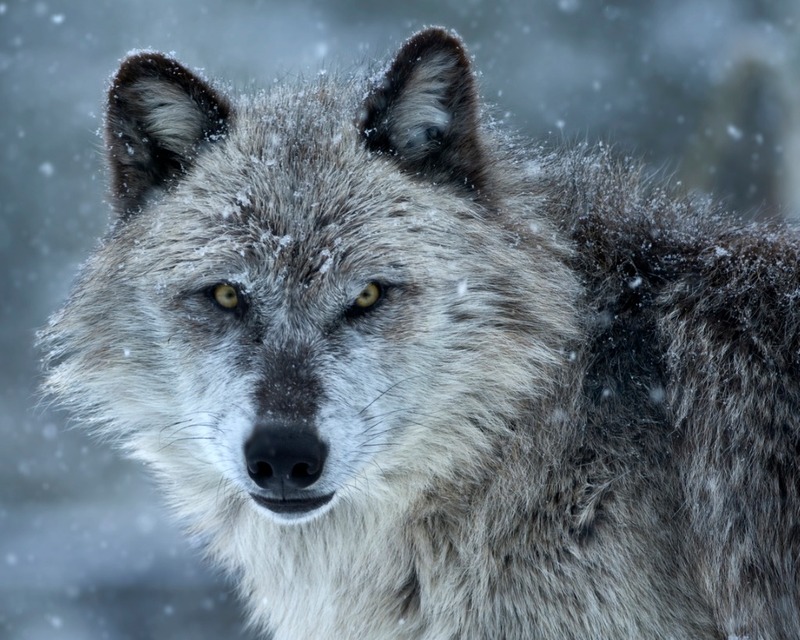 In 1995, wolves were reintroduced into Yellowstone National Park after having been wiped out by government predator control programs in the early 1900s. The last gray wolf in Yellowstone was killed in 1926, and though some sightings were reported over the years, Yellowstone was essentially without wolves until the re-introduction program began in the mid-1990s. While there was fierce opposition to wolf reintroduction at the time from some groups, it has proven to be highly beneficial to the park. There were too many bison and elk in the park, and they had become complacent in the absence of major predators. 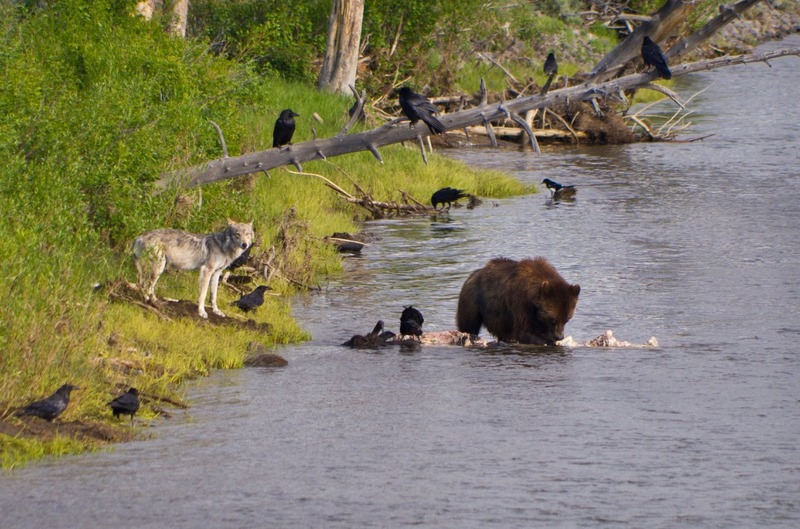 But when wolves rebounded, they found easy kills and brought the ecology of the park back into balance. Elk and bison returned to healthy numbers. Vegetation along streams - no longer mowed down by overpopulations of elk and bison - also returned to form. Wolves are even credited with helping increase the variety of songbirds in the park. For photographers, wolves are tough customers as they are very elusive. However, a good wildlife photography tip is to head to Lamar Valley in the northern reaches of the park, where you'll find wide-open valleys with plenty of prey for wolves. 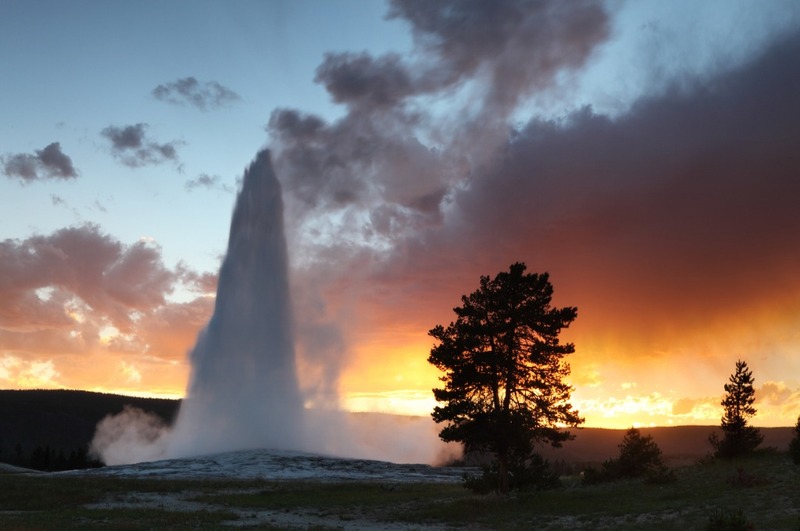 The vast majority of tourists that travel to Yellowstone do so between May and September. That makes for a very busy park with crowded boardwalks, lots of traffic, and not much peace and quiet, unless you park your car and head out on one of the park's many designated trails. 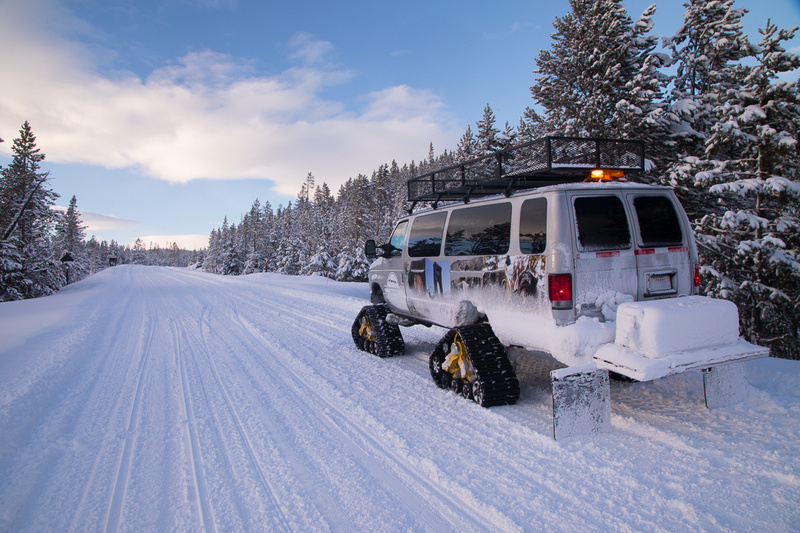 Your other option - and a far better one if you ask me - is to visit Yellowstone in the winter. Not only will you encounter far fewer people, but the Yellowstone ecosystem is perhaps even more impressive in the dead of winter. 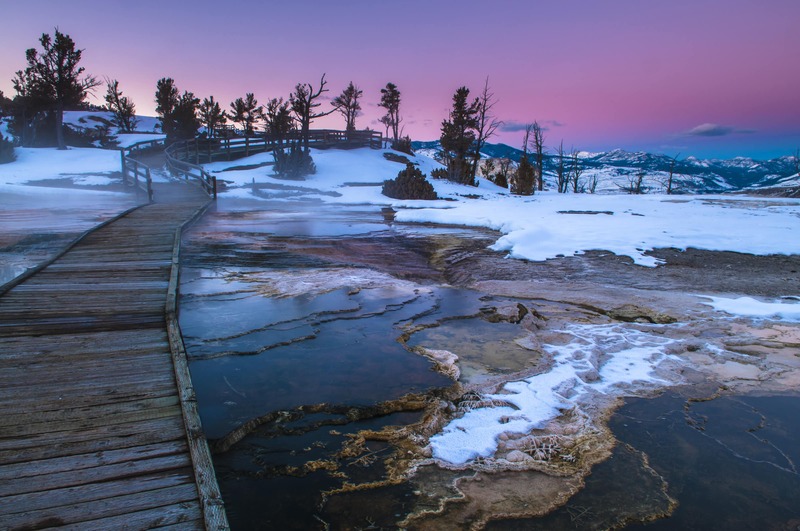 The bubbling mud pots and erupting geysers take on an even more otherworldly appearance in the winter as they're shrouded in an eerie veil of steam. Waterfalls - some of which flow throughout the winter despite temperatures that can reach -40 degrees Fahrenheit - are lined with giant towers of ice and look like something right out of a fairy tale. 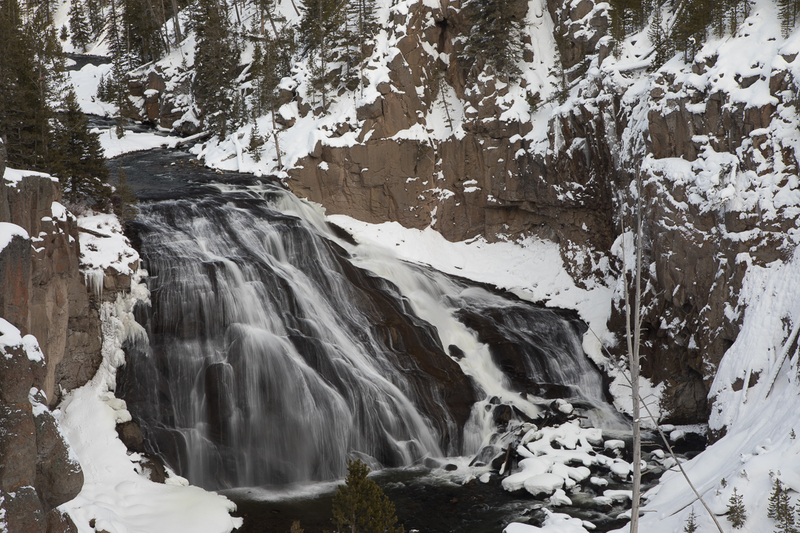 Primary among the must-see waterfalls in winter are the Upper and Lower Falls of the Yellowstone River, located in the Grand Canyon of the Yellowstone. At 308 feet in height, the Lower Falls is more than twice the height of Niagara Falls and puts on an impressive wintertime show for photographers. 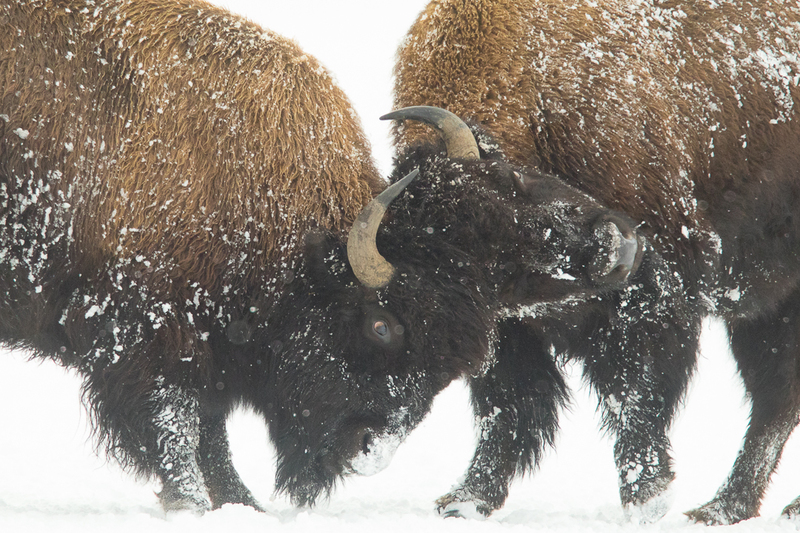 Perhaps the best part of taking your camera to Yellowstone in the winter is the opportunity to photograph tons of wildlife. For starters, animals stand out against the wintry background, making them easier to spot and photograph. What's more, the frigid temperatures and heavy snows in the upper elevations force many animals down into the lower valleys in search of food. It's not uncommon to see giant herds of bison and elk, solitary moose, mule deer, and bighorn sheep. Coyotes, foxes, bobcats, bald eagles, trumpeter swans, and great grey owls are exciting finds as well. If you're lucky, you'll spot a few wolves, too. 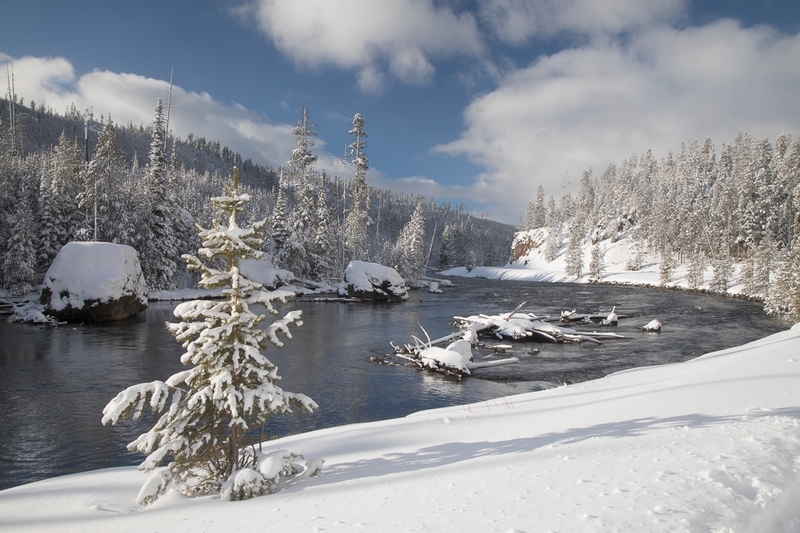 Yellowstone in winter is an unforgiving place, and that necessitates having an experienced guide with you to help you find those magical moments to photograph. John Slonina is one such expert, having photographed Yellowstone for nearly 20 years. 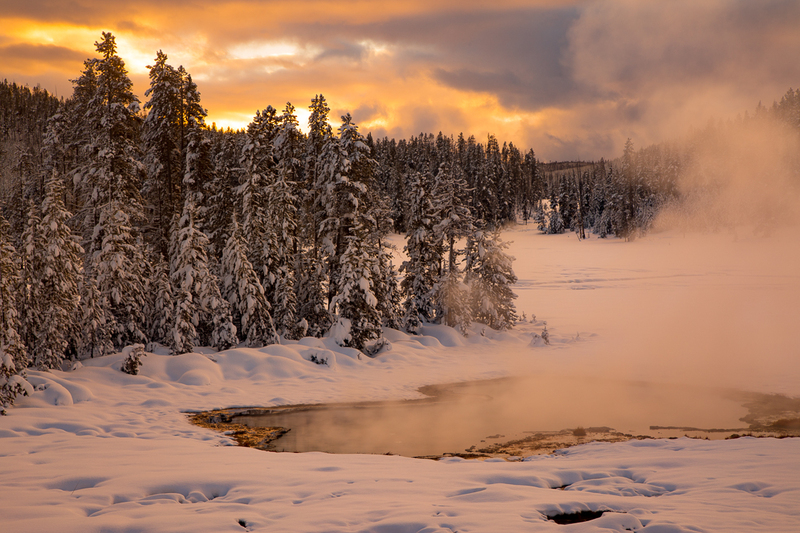 His 2019 Yellowstone Winter Instructional Photo Tour and Workshop is a must for photographers that want to capture the breathtaking beauty of this area in the winter. John's workshops blend the incredible sights of the park with instruction on essential photography techniques. That means you'll get to explore the the park via snowcoach and photograph abundant wildlife and breathtaking landscapes on the one hand, and on the other, you'll learn about things like post-processing techniques using Lightroom. Better still, John's tours are small. That means that you get more one-on-one instruction time to hone your skills. That also means that the tour uses just one coach, which makes it easier to access more remote areas and see more wildlife from a closer point of view. In other words, if you're a photography enthusiast that's itching to document the wilds of Yellowstone and asking yourself when to photograph Yellowstone, you need to do so in winter on a tour with John Slonina. The tour takes place January 11-19, 2019. Visit John's website for more details and to register.